Since we are well into summer and the days are still long and the nights are hot there is no better time to gather your friends and family, throw some meat on the bbq and sit back and relax! Whenever my family comes over for a bbq we always have this confusing moments when my husband will say “How do you all want your steaks done?” This will undoubtedly be met with “Rare!” “Medium please.” “Blue!” “Burnt to a crisp please!” (the last response coming from my mother who likes her meat extremely well done!). As you can see this may make the cook sweat a bit as he/she has to know when to put on all of the steaks/meat to ensure everyone eats at the same time! 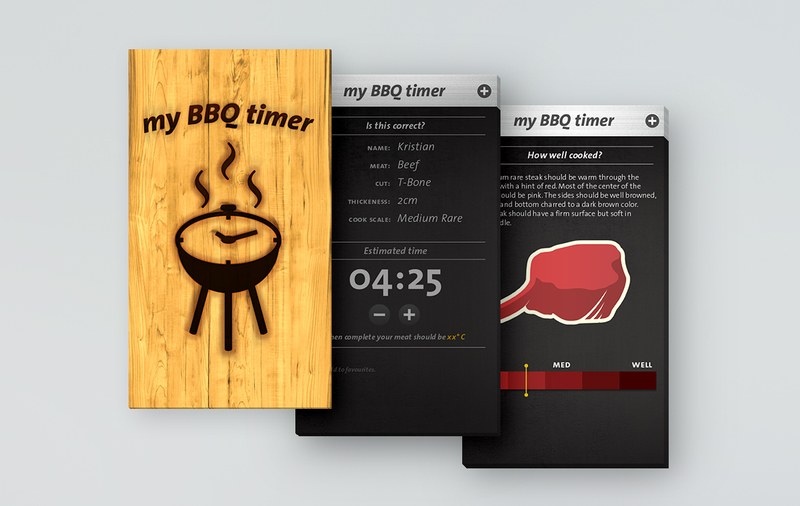 I recently found this handy app for iPhone called my BBQ timer. It has a few flaws but overall is very handy when you need to cook any type of meat on the bbq. When you first go into the app you are shown a simple tutorial page with 3 easy to follow steps. When you click on the “+” symbol you can “add a new item” or “select a favourite”. 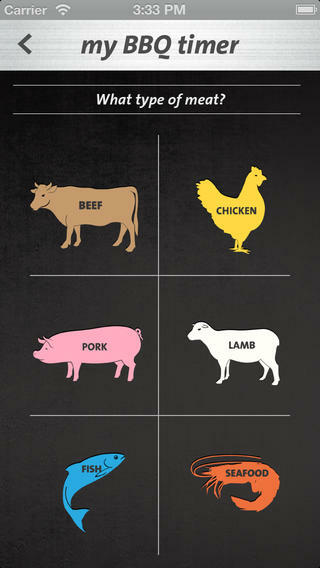 When you add a new item you can choose between beer, chicken, pork, lamb, fish and seafood. Once you have selected a type of meat you then select the type of cut followed by the size and then how you would like it cooked (if appropriate, obviously you shouldn’t ever eat uncooked chicken so it doesn’t even give you that option). The nice thing about the last step is that is has little tips for adding flavour to your meat and neat cooking tips for the type of meat (example cook chicken beside a tray of water to keep it moist). Once you have set your preferences you are shown a summary page to confirm your choice or adjust it. From this screen you can also add it to your “favourites” to access easily the next time you grill. Once you have confirmed your choice you can give it the final add and then go back through the process to add all of the other pieces of meat you are grilling! One thing to note is that the above may seem like a lot of steps but it is actually extremely quick and takes a few seconds to add each piece of meat. Once you have every piece of meat added you start the cooking time and it tells you what piece to put on the grill, when to flip it and when it is done. 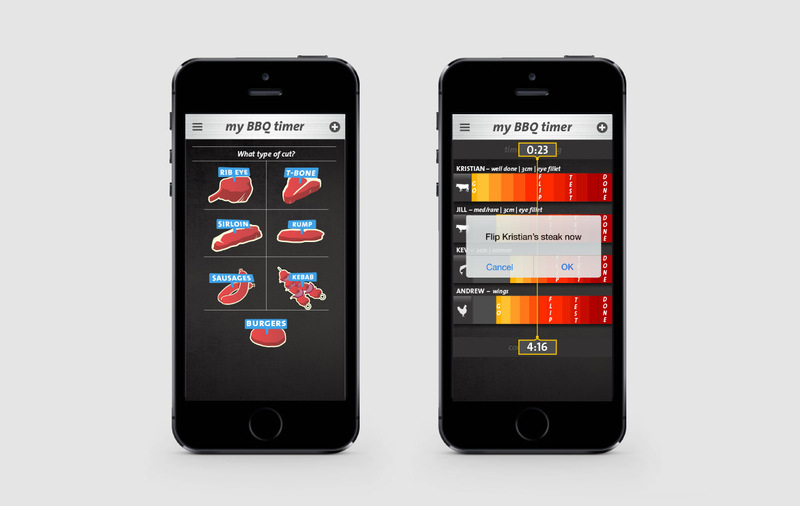 The nice thing is that it has notifications to alert you every time you have to flip the meat or add another one to the grill. Overall this is a great little app. The only limitations that I can see are they only have pre-set sizes of meat to choose from you. So if your piece of meat was larger or smaller than their pre-set amounts you would need to do a bit of guess work to cook it. Hope you are all enjoying the summer!